Sorry it's such a late post tonight, I was watching a film. We rented Tower Heist which was really good, very funny, so it's definitely worth a watch if you haven't already seen it! 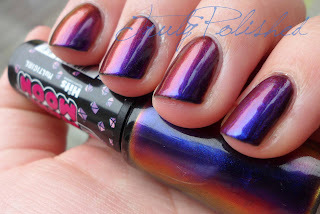 Tonight's post is one of my new HITS polishes that I got in the post a few days ago. It's so gorgeous. I couldn't wait to try this polish so my trip to the hairdresser yesterday seemed like the perfect opportunity! Dreamer is a multichrome polish that shifts from blue to purple to copper and to gold. It's really stunning. In bright light it looks totally blue but in duller lighting the colour shift is amazing! If you saw my post the other day on HITS Afterglow then this is the multichrome polish version of that glitter. 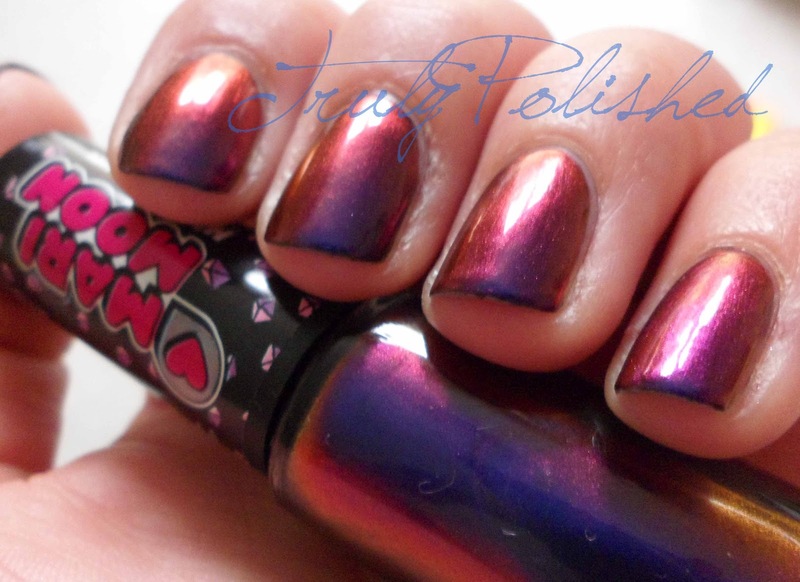 This is such a pretty polish, but my only complaint is the tipwear. Even wrapping my tips I got tipwear within a couple of hours, which is when I took the photos! You can buy this polish directly from HITS like I did here for R$8.50 or you can buy it from Llarowe.